Si Pang. 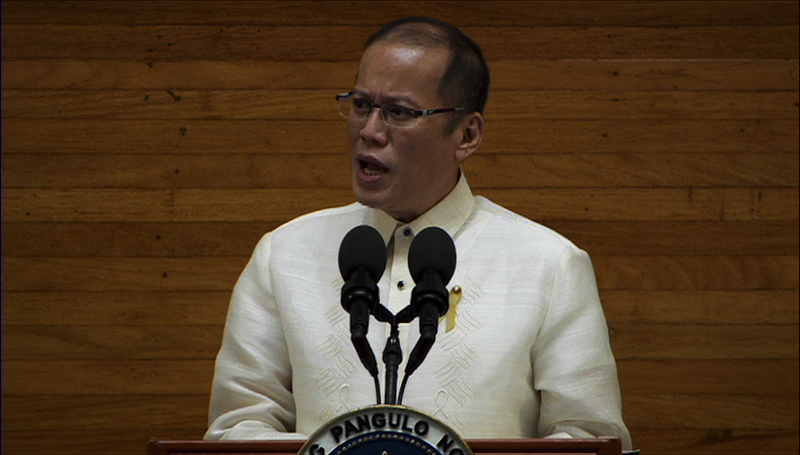 Aquino sa Manila Hotel, Hunyo 24, bago tanggapin ang "Outstanding Manilan" award. Sunud-sunod ang panggulat sa bayan ni Pangulong Noynoy Aquino. Marahil dahil nasanay tayo sa nakaraang pamahalaan, bawat gawin nyang bago ay malaki nang bagay. Ang pag-iwas sa wangwang. Ang pagkaipit sa trapik. Ang pagiging takda sa oras. Ang magiliw na pakikitungo sa media. At ang SONA sa wika ng lahat. Pinapakita lang ng pangulo na kailangan nyang mapalapit sa mamamayan. Siyam na taon silang maituturing na nawalay sa gobyernong nasangkot sa mga kontrobersyang hindi nito pinagtuunang isagot. Kaya naman, bawat pagkakataong makasagot, sinasamantala ngayon. TV technical people are the unsung heroes of coverage–“first in and last out.” I heard that tag not from anyone in the industry, but from a teacher I met in one of our early-morning features. 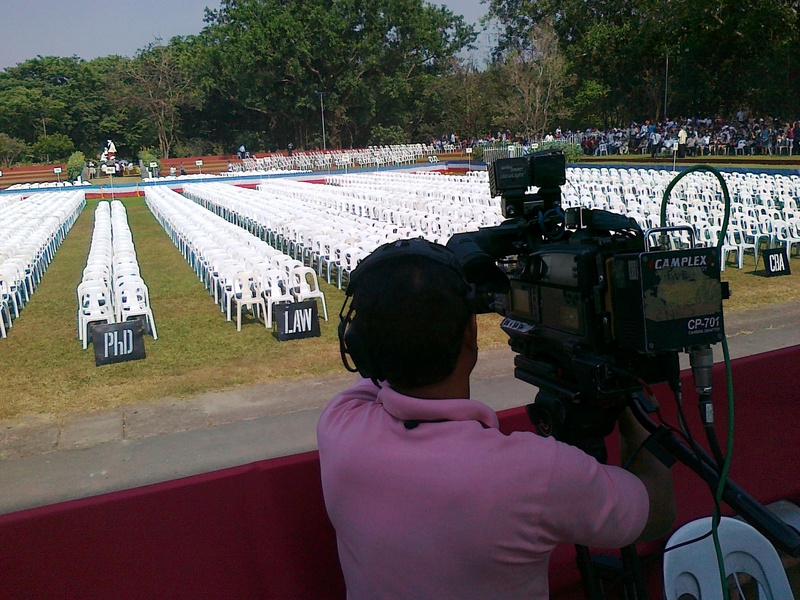 While confined to Metro Manila, the many live points of one TV station covering the biggest event of 6 years have to share the same limited reserved space with other stations and other media. A big deference, of course, to broadcast–them with their OB (outside broadcast) vans, satellites, microwave dishes, scaffolds, lights, cameras, cables, computers, PAs, and staff. 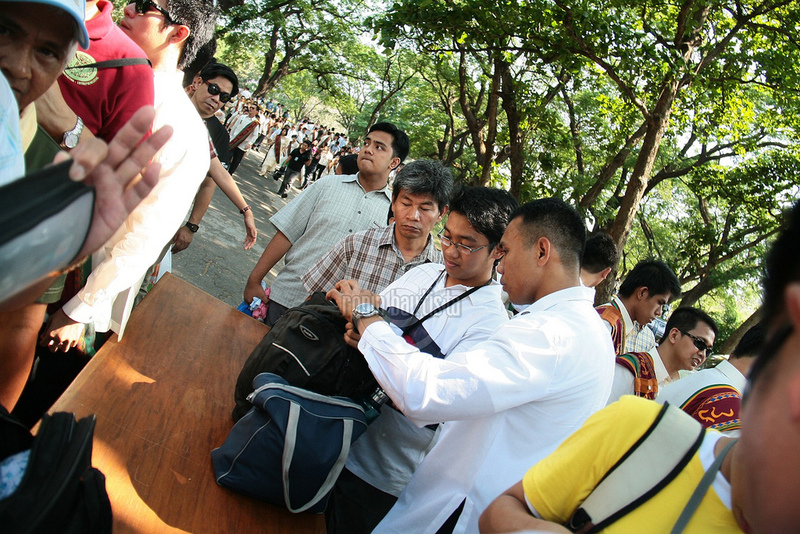 And for an event scheduled for 10 a.m., our live teams were in place at the Quirino Grandstand, Malacañan Palace, Times Street, and Quezon Memorial Circle as early as midnight of June 30–President Benigno Aquino III’s inaugural day. This inauguration marks my first entry to the presidential palace. Our team spent the previous day waiting to park, getting permits, and then drawing lots with reps from Channels 4, 5, and 7 for setup space. Each reporter was only allowed to report within those blue borders. 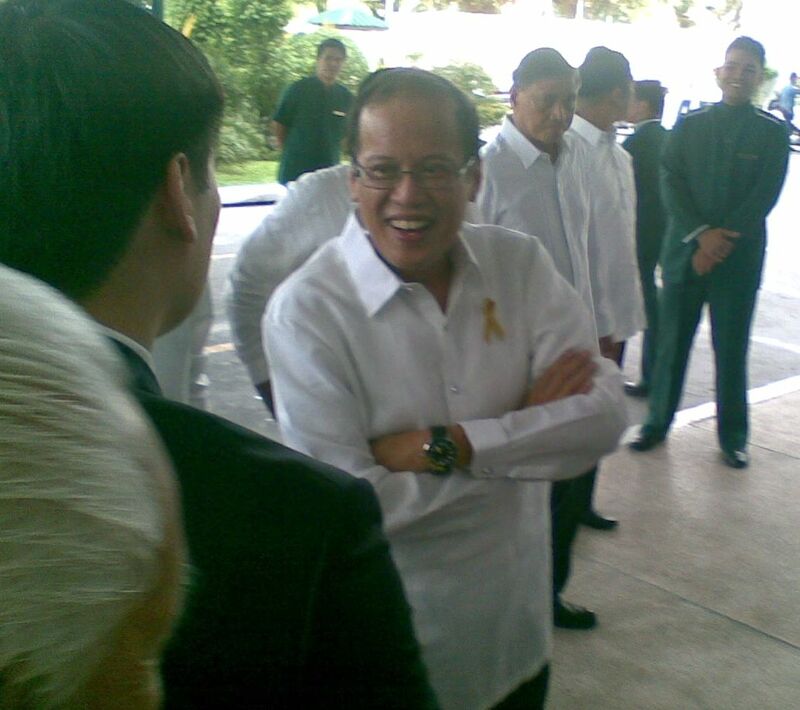 You don’t easily set up in Malacañan. 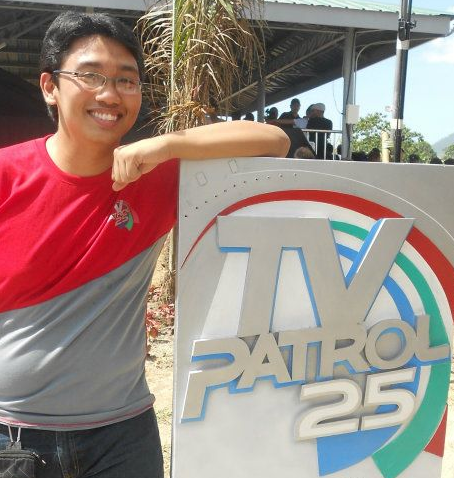 You go through layers of coordination with the Presidential Security Group (PSG) and Radio-Television Malacañang (RTVM). A third of that is done from the office, a third via phone, and a third on-site. 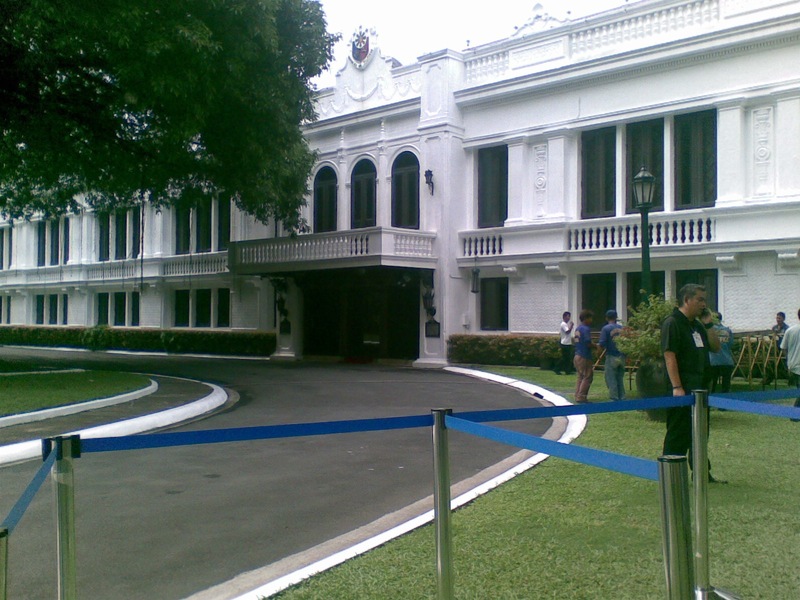 Only one live camera per network reporter is allowed inside the Malacañan driveway. All the stations’ vans need to hook up to RTVM, the sole team with cameras inside. Anyone who watched the President’s historic walk up the Palace staircase live saw the same shot, regardless of the channel.